Traffic Limitations on Pyatnitskaya St.
Pyatnitskaya Street will be closed for vehicles for two months. Restrictions will come into effect on June 5, presumably until August 10. During this period, a big amount of landscaping works will be held: sidewalks will become wider, the roadway will be narrower, trees will be planted, benches, urns and bicycle lane will appear at the street. New walking route will be launched on Pyatnitskaya Street by the beginning of September. 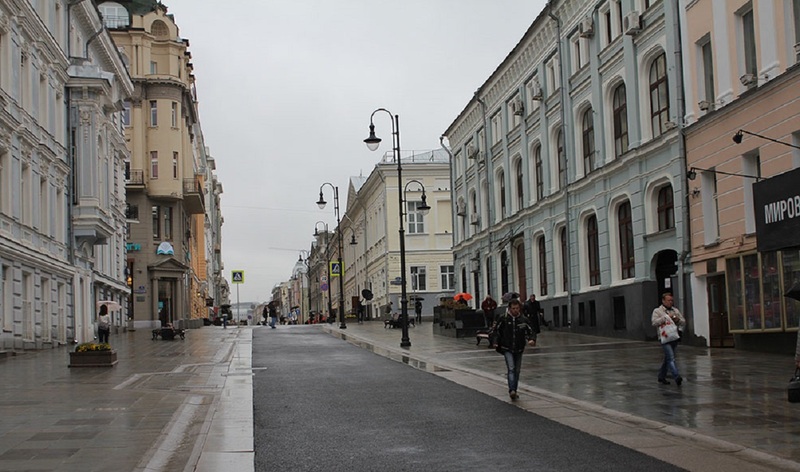 By this time, there will be pedestrian zones on Maroseika, Pokrovka and Zabelina Streets.